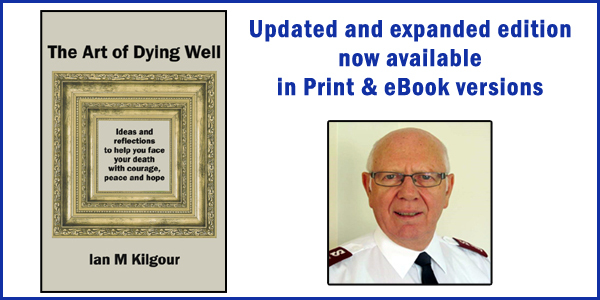 We are delighted to feature our new updated and expanded edition of Ian Kilgour’s book The Art of Dying Well. The book is available in print and eBook (PDF, Kindle/mobi & ePub) editions. Your April selection also includes new books by NZ’s Josh Cohen & Gwendoline Smith, and books about ministry, Islam and contemplative prayer. 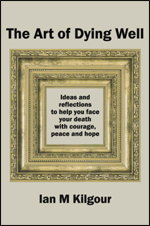 This book will help you face your own death with courage and faith. Some simple things can help ease your mind and bring peace to your heart. Much of the book is written in the first-person singular to help you personalise your reflections. There are many prompts for you to write in a notebook or journal your reflections and memories of significant people, places and events in your life, and ideas for your funeral. Dip into the book where and when you want, pondering only one or two paragraphs at a time. It includes readings and meditations from a wide range of perspectives and faith traditions. The book will also be a valued gift from family members of the dying and professionals caring for and ministering to the dying. “To those who reflectively read these pages as they knowingly approach the completion of their lives, and their death, Ian Kilgour has offered a map and a compass. There is realism, compassion and inclusiveness in what he offers in this text—The Art of Dying Well. Not only that, he offers the wisdom and inspiration of others, as well as his own. When we all harvest our experiences, offer thanks for all that has been and what we have learnt, then we can say a confident ‘Yes’ to whatever lies ahead, including death, where an embrace of undying Love awaits us.” Bishop Bruce Gilberd, Former Bishop of Auckland. Wise and authoritative, The House of Islam seeks to provide entry to the minds and hearts of Muslims the world over. 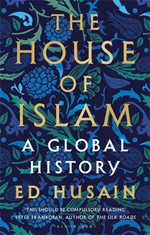 The decline of the Muslim world and the current crises of leadership mean that a glorious past, full of intellectual nobility and purpose, is now exploited by extremists and channelled into acts of terror. How can Muslims confront the issues that are destroying Islam from within, and what can the West do to help work towards that end? 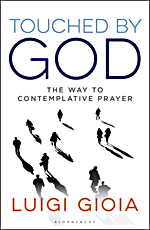 The way to contemplative prayer. Gioia explores the art of contemplation. He points out from the start that contemplation is not a more advanced way of praying but a greater awareness of the presence of God. The defining mark of this awareness is that we become more and more aware of God’s presence, a unique kind of inner peace and joy which has been described by spiritual authors with a variety of arresting and often poetic images. What Gioia describes is not some kind of spiritual wonderland; for it does not dispense us from struggles and doubts and often the non-evidence of God. It brings a peace which coexists with doubt, a peace which can flourish in the middle of struggles, a joy that we can discover even in suffering. 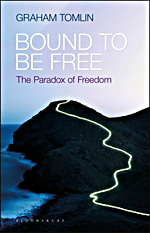 In this accessible, significant and deeply thoughtful book, Graham Tomlin argues that the Christian vision of freedom offers a way to think about liberty that can bring together both personal fulfilment and the health of community life in a way that secular versions have failed to do. Know how you think, change how you feel. Learn to understand the way you think and you will be able to deal with many of life’s difficult moments. 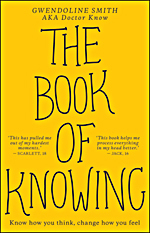 Written in an accessible and humorous style, this book teaches you to know what’s going on in your mind and how to get your feelings under control. It’ll help you adapt and feel better about your place in the world. Psychologist Gwendoline Smith uses her broad scientific knowledge and experience to explain in clear and simple language what’s happening when you are feeling overwhelmed, anxious and confused. Why We Have to Stop. In a culture that tacitly coerces us into blind activity, the art of doing nothing is disappearing. Inactivity can induce lethargy and indifference but is also a condition of imaginative freedom and creativity. 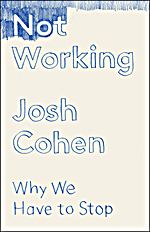 Psychoanalyst Cohen gets to the heart of the apathy so many of us feel when faced with the demands of contemporary life and asks how we might live a different and more fulfilled existence. 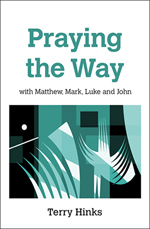 Praying the Way with Matthew, Mark, Luke and John. Through raw and authentic prayers, based on the gospel stories, Terry Hinks leads readers into the heart of the gospels the more clearly to see the needs and joys of today’s world. This highly original book helps readers to pray out of, and with, the words of Jesus and to discover the joy of prayer as a two-way conversation – listening as much as speaking to God. Finding life in the everyday. Drawing on the imagery of the Hebrew scriptures, Jesus identifies himself as the `I am’ of Israel’s narrative. Through sensitive retelling, thoughtful discussion and creative exercises, Andrea Skevington shows the transforming power of Jesus’ words. 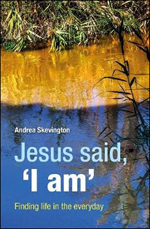 Jesus Said, `I Am’ integrates faith and imagination, story and study, helping the reader towards a well-grounded and more profound faith. 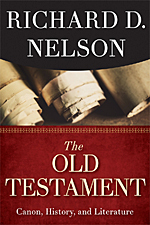 A clear and eloquent introductory study of the Hebrew Bible/Old Testament. Engaging and accessible to students from all backgrounds, this book is a comprehensive introduction to the Old Testament. It is designed to equip readers with the knowledge and skills needed to read, interpret, and benefit from the Old Testament/Hebrew Bible in their own context. Using scholarly consensus and current research with numerous examples, this book helps prepare students for further advanced courses related to exegesis, individual books, and special topics. It also provides a balanced approach to controversial areas in biblical scholarship such as violence, sexuality, and slavery. More importantly, this introduction understands the Old Testament as a resource for the human quest for meaning making it an essential tool for helping students appropriate this, often neglected, part of the Bible for their own faithful living. Letters to a Young Reader. Maria Popova; Claudia Bedrick editors. 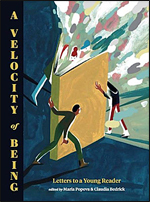 Some of today’s most wonderful culture-makers – writers, artists, scientists, entrepreneurs, and philosophers – reflect on the joys of reading, how books broaden and deepen human experience, and the ways in which the written word has formed their own character. On the page facing each letter, an illustration by a celebrated illustrator or graphic artist presents that artist’s visual response. For ages 10 and up. Among the diverse contributions are letters from Jane Goodall, Neil Gaiman, Jerome Bruner, Shonda Rhimes, Ursula K. Le Guin & Yo-Yo Ma. The Wind At My Back. Mary Egan Publishing, NZ (2019). 23-year-old Josh Komen was on track to represent New Zealand in running at the next Commonwealth Games when he was diagnosed with Acute Myeloid Leukaemia. In a single moment, the course of his life was changed irrevocably. 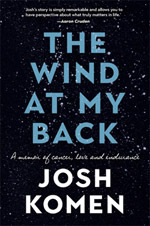 What follows are years of excrutiating pain, brutal treatments both in New Zealand and Australia, and shocking side-effects that send a young man to the brink of despair and back innumerable times. The life lessons Josh gathers along the way are an inspiration for us all. This is an incredible story of courage, love and endurance. 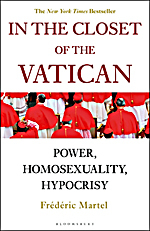 The celibacy of priests, the condemnation of the use of contraceptives, the cover up of countless cases of sexual abuse, the resignation of Benedict XVI, misogyny among the clergy, the dramatic fall in Europe of the number of vocations to the priesthood, the plotting against Pope Francis – all these issues are clouded in mystery and secrecy. This book reveals these secrets and penetrates this enigma. It derives from a system founded on a clerical culture of secrecy which starts in junior seminaries and continues right up to the Vatican itself. Tools for Ministry in the Community. 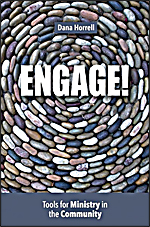 Church leaders often want to do more to engage their community contexts, but when it comes to the actual “how-to-do-it,” they find themselves blocked. Engage! provides 26 practical and proven tools to help leaders develop methods and strategies to get started and break through these barriers. These tools represent best practices and have all been tried successfully. 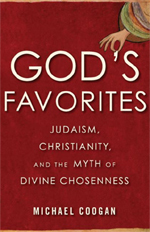 Judaism, Christianity, and the Myth of Divine Chosenness. The Bible describes many individuals and groups as specially chosen by God. But does God choose at all? Michael Coogan explains the temporally layered and allusive storytelling of biblical texts and describes the world of the ancient Near East from which it emerged, laying bare the power struggles, the acts of vengeance, and persecutions made sacred by claims of chosenness. Jumping forward to more modern contexts, Coogan reminds us how the self-designation of the Puritan colonizers of New England as God’s new Israel eventually morphed, in the United States, into the self-justifying doctrines of manifest destiny and American exceptionalism. Coogan suggests we might instead focus on another key biblical concept: taking care of the immigrant and the refugee, reminding the reader of the unusual focus on the vulnerable in both the Hebrew Bible and New Testament. Sally Nash; Carolyn Edwards; Sian Hancock eds. Drawing on current scholarship and research by authors with experience of a range of International contexts who are experts in their field, this accessible guide focuses on approaches that encourage spiritual, physical, mental and emotional development in children. By outlining a range of lenses through which readers can reflect on their ministry with children and their families. this book offers inspiration to help them improve their practice. Up-to-date research and thinking provides a fresh and flexible understanding of work with children and families. 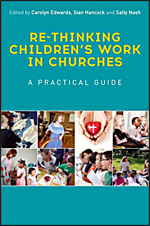 It also prepares readers to develop and support a team that can take responsibility for the key areas needed in an effective children’s ministry. Reflections and prayers inspired by the writings of Dietrich Bonhoeffer. Dietrich Bonhoeffer (1906–1945) is one of the most well-known theologians of the 20th century. 70 years after his death, he is still referred to in public debates. His writings cover a variety of themes and have helped to unite friends of Christ from across the world. 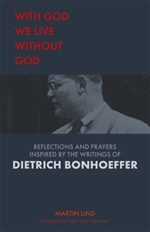 This book contains a series of 30 reflections and prayers that draw inspiration from the theological challenges, thought-provoking statements, and new intellectual constructs that defined Bonhoeffer’s own reflections. There are now over 800 titles listed on our website.